Another installment of "my friends are cooler than you... and probably me too." 1. 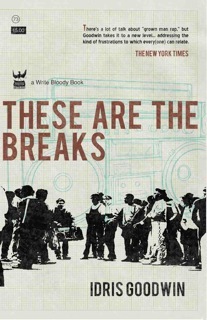 First of all, I blogged a little about Idris Goodwin before, but you HAVE to pick up his new book, "THESE ARE THE BREAKS." It just dropped today. I had an advance copy, and it's honestly one of the best books I've read in years. 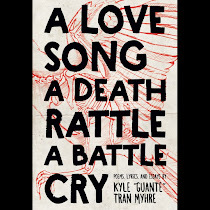 A kind of prose-poetry hip hop creative nonfiction mash-up, it's a MUST-READ for anyone who loves hip hop and was born in the late 70s or early 80s, as well as anyone who just enjoys good writing. There's even a PM Dawn persona poem. 2. Kristoff Krane has a new video out. It's for the song "Inside Out." His last album, "Hunting for Father," was one of my favorite albums of 2010. Check it out at this link. 3. Homeless Ryan K. just put out a video too, for the Man Mantis-produced "Rest in Peace." I know Homeless from the poetry scene, but he's really come up over the past year as a rapper too, playing some huge shows and being tall and everything. Check out his music for free at this link. Untitled from Not Enough Mics Collaborative on Vimeo. 4. I reviewed the debut release from the all-womyn's Not Enough Mics collaborative a while back. Here's a very cool trailer they put together. Definitely check that release out. 5. 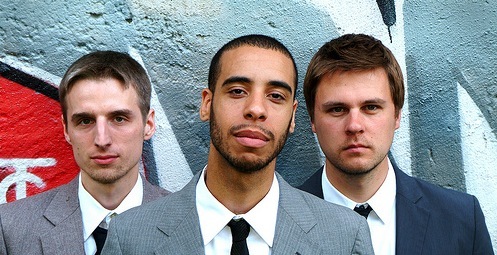 Finally, the homies No Bird Sing are putting out their second album. Just announced a release party for April 29th at the Cedar in Minneapolis. I'll be out of town that weekend (if you're in Brainerd, come to my show), but TC heads should definitely check out this show. Kill the Vultures and Kristoff Krane will also be playing. That's one of the best three-act lineups you'll ever see, and No Bird Sing put on one of the best live shows in the Twin Cities. Okay I guess the "more" in the title is misleading. That's pretty much it. But still, that's a lot. Thanks for all you do onstage and off - respect!